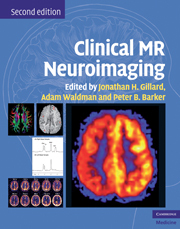 Clinical MR Neuroimaging, second edition, provides radiologists, neuroscientists and researchers with a clear understanding of each physiological MR methodology and their applications to the major neurological diseases. Section 1 describes the physical principles underlying each technique and their associated artefacts and pitfalls. Subsequent sections review the application of MRI in a range of clinical disorders: cerebrovascular disease, neoplasia, infection/inflammation/demyelination disorders, seizures, psychiatric/neurodegenerative conditions, and trauma. This new edition includes all recent advances and applications, with greatly increased coverage of permeability imaging, susceptibility imaging, iron imaging, MR spectroscopy and fMRI. All illustrations are completely new, taking advantage of the latest scan capabilities to give images of the highest possible quality. In addition, over 35 new case studies have been included. Editors and contributors are the leading neuroimaging experts worldwide; their unique combination of technical knowledge and clinical expertise makes Clinical MR Neuroimaging the leading text on the subject. Introduction; Part I. Physiological MR Techniques: 1. Fundamentals of MR spectroscopy; 2. Quantification and analysis in MR spectroscopy; 3. Artifacts and pitfalls in MR spectroscopy; 4. Fundamentals of diffusion MR imaging; 5. Human white matter anatomical information revealed by diffusion tensor imaging and fiber tracking; 6. Artifacts and pitfalls in diffusion MR imaging; 7. Cerebral perfusion imaging by exogenous contrast agents; 8. MRI detection of regional blood flow using arterial spin labelling; 9. Imaging perfusion and blood-brain barrier permeability using T1-weighted dynamic contrast-enhanced MRI; 10. Susceptibility weighted imaging; 11. Artifacts and pitfalls in perfusion MR imaging; 12. fMRI - methodologies, practicalities and pitfalls; Part II. Cerebrovascular Disease: 13. Cerebrovascular disease: overview; 14. MR spectroscopy in stroke; 15. Diffusion and perfusion MR in stroke; 16. Arterial spin labelling in stroke; 17. MR diffusion tensor imaging in stroke; 18. MR spectroscopy in severe obstructive carotid artery disease; 19. Perfusion and diffusion imaging in chronic carotid disease; 20. Susceptibility imaging and stroke; Part III. Adult Neoplasia: 21. Adult neoplasia: overview; 22. MRS in adult neoplasia; 23. Diffusion MR imaging in adult neoplasia; 24. Perfusion MR imaging in adult neoplasia; 25. Permeability imaging in adult neoplasia; 26. Functional MRI in presurgical planning; Part IV. Infection, Inflammation and Demyelination: 27. Physiological imaging in infection, inflammation and demyelination: overview; 28. MR spectroscopy in intracranial infection; 29. Diffusion and perfusion MR imaging of intracranial infection; 30. MR spectroscopy in demyelination and inflammation; 31. Diffusion and perfusion MRI in inflammation and demyelination; 32. Physiological MR to evaluate HIV-associated brain disorders; Part V. Seizure Disorders: 33. Seizure disorders; 34. MR spectroscopy in seizure disorders; 35. Diffusion and perfusion MR imaging in seizure disorders; Part VI. Psychiatric and Neurodegenerative Diseases: 36. Psychiatric and neurodegenerative disease: overview; 37. MR spectroscopy in psychiatry; 38. Diffusion MR imaging in neuropsychiatry and aging; 39. 1H MR spectroscopy in aging and dementia; 40. Physiological MR in neurodegenerative diseases; 41. Iron imaging in neurodegenerative disorders; Part VII. Trauma: 42. Potential role of MR spectroscopy, diffusion-weighted/diffusion tensor imaging and perfusion imaging in traumatic brain injury: overview; 43. MR spectroscopy in traumatic brain injury; 44. Diffusion and perfusion-weighted MR imaging in head injury; 45. Susceptibility weighted imaging in traumatic brain injury; Part VIII. Pediatrics: 46. Physiological MR of the pediatric brain: overview; 47. Physiological MRI of normal development and developmental delay; 48. MR spectroscopy in hypoxic brain injury; 49. The role of diffusion and perfusion weighted brain imaging in neonatology; 50. Physiological MR of pediatric brain tumors; 51. Physiological MRI techniques and pediatric stroke; 52. MR spectroscopy in pediatric white matter disease; 53. MR spectroscopy of inborn errors of metabolism; 54. Pediatric trauma; 55. Physiological MR of the spine; Index.